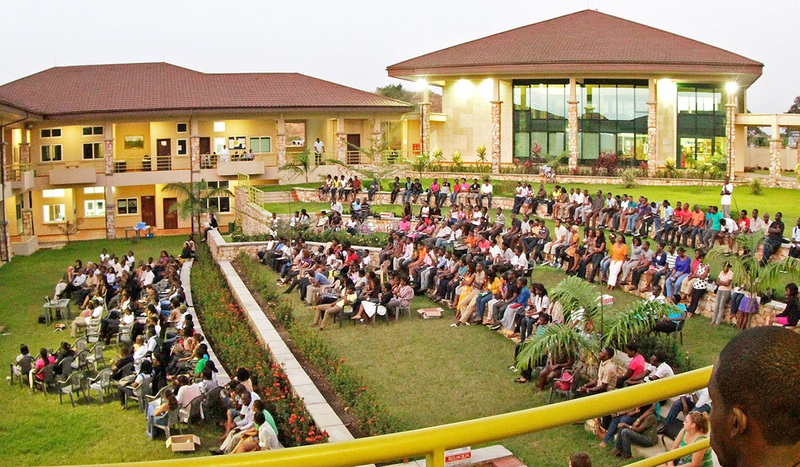 In 2009, after operating since 2002 in crowded rented facilities, Ashesi broke ground for its new permanent campus in Berekuso, a small village outside of Accra, Ghana. Generous donors from around the globe helped raise the $6.4M needed for construction. 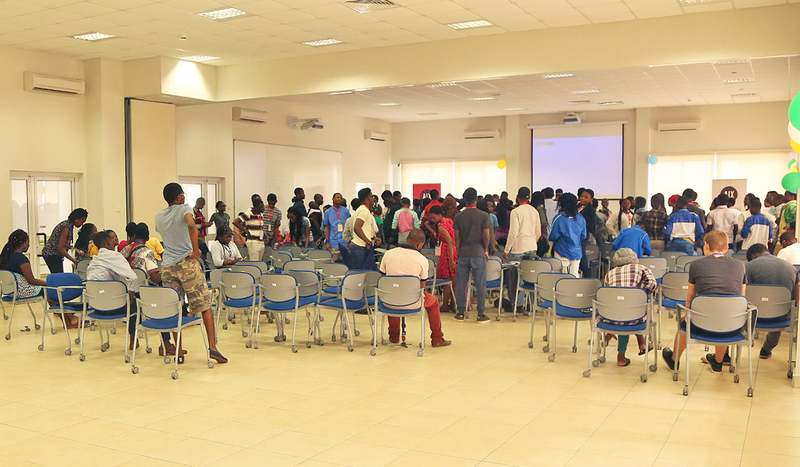 In two short years, on-schedule and on-budget, an empty patch of ground was transformed into one of the finest campuses in Africa. 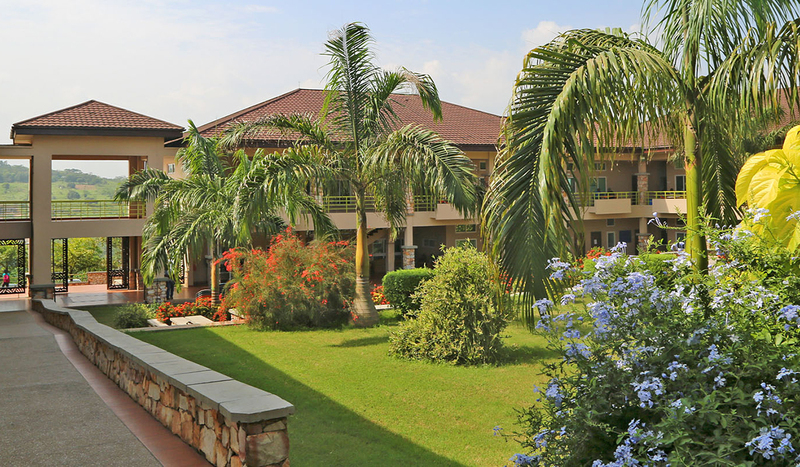 In 2011, Ashesi moved into our new campus. The hilltop location, combined with a unique architectural design, are inspiring. 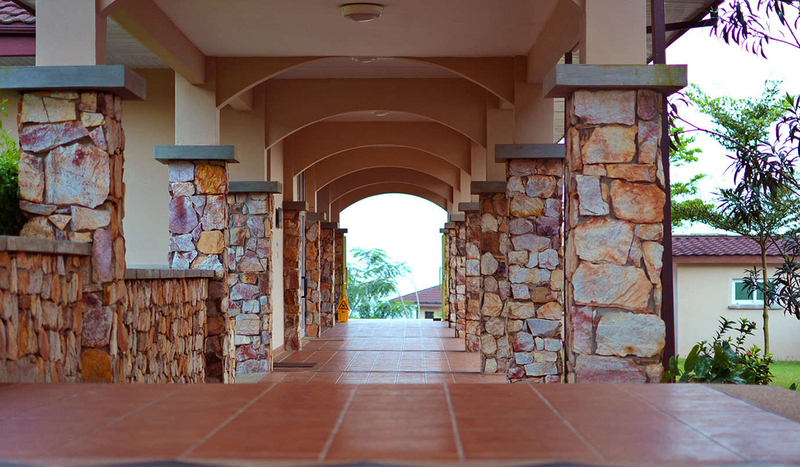 The campus, which was designed and built by Africans, also serves as a testament of Ashesi’s commitment to a renewed Africa led by the African people. 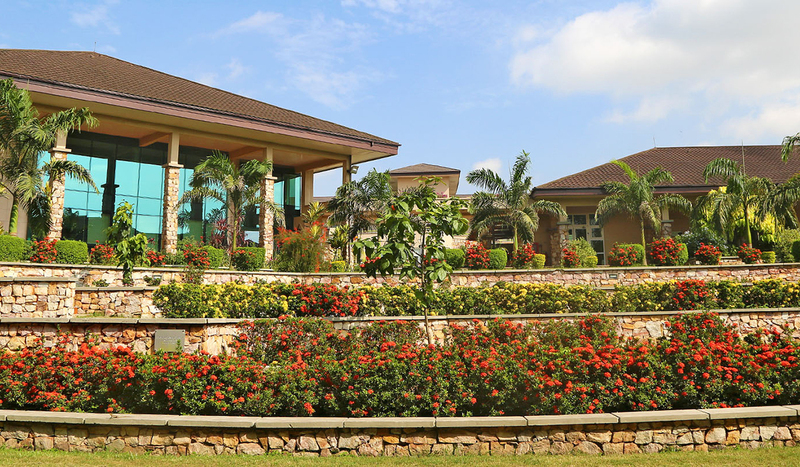 Ashesi’s campus is a state-of-the-art learning environment designed to encourage faculty and student interaction – creating a base for young Africans from diverse backgrounds to live, collaborate and study together for generations to come. 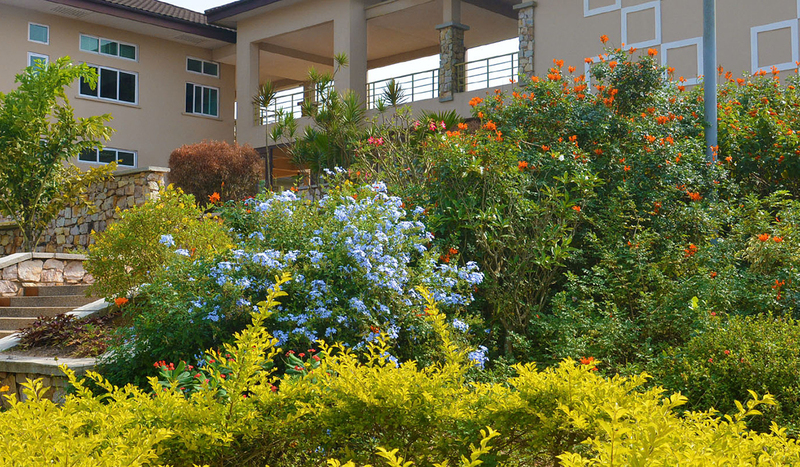 Environmental best practices have been at the forefront of Ashesi’s development ever since work began on our permanent campus in Berekuso in 2009. 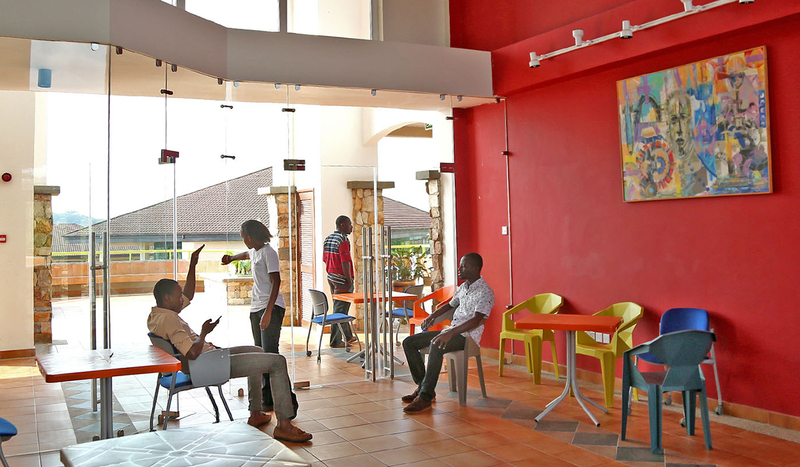 Here is a snapshot of Ashesi’s efforts to promote green technology on campus. 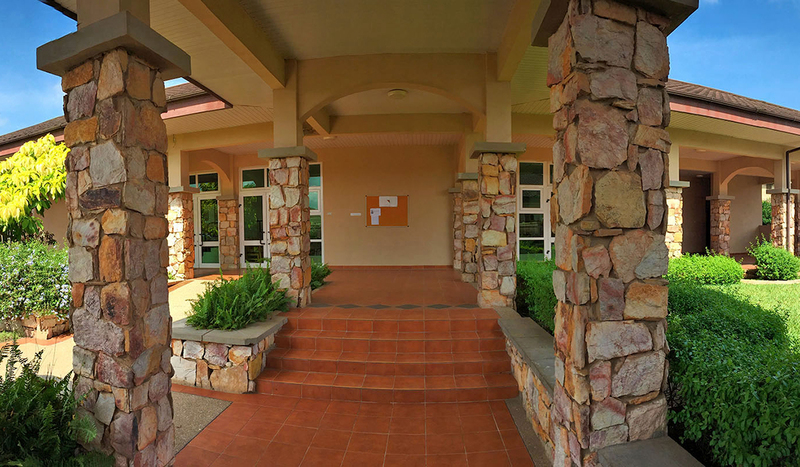 Water: With no access to the national water grid, Ashesi developed plans to ensure our campus had access to clean, safe water. 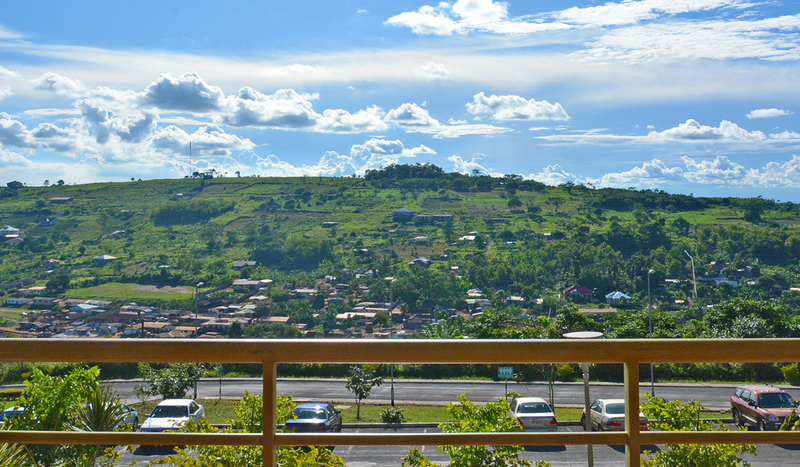 We installed a borehole to tap into the springs underneath Berekuso and designed campus roofs to harvest and store rainwater, with 100,000 gallons of harvested water stored throughout campus. This water runs through a 3-phase filtration system and is tested every month before it enters our taps for drinking. 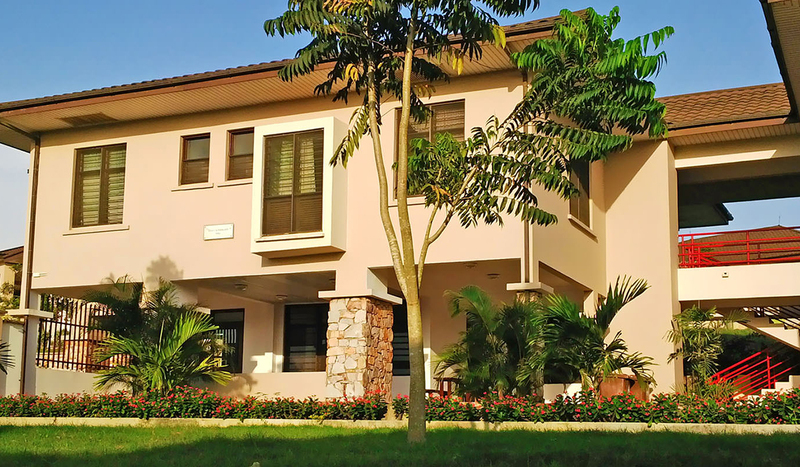 Ashesi also installed efficient flush toilets, using 50% less water than average, in all campus bathrooms. 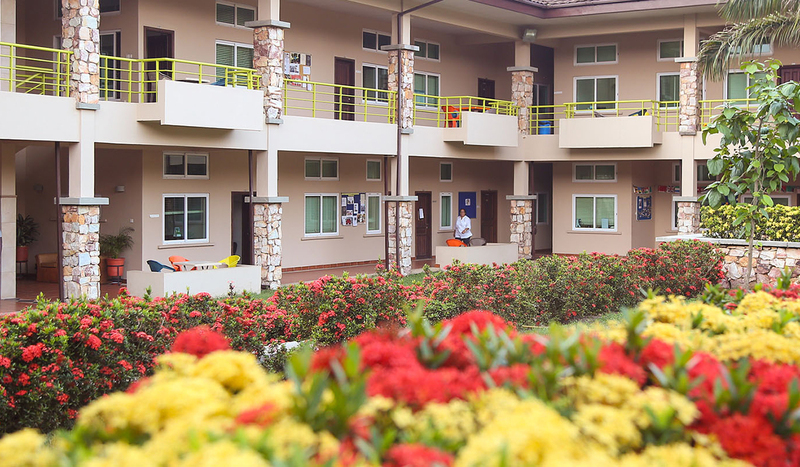 Sanitation: With the aim of building a cleaner campus, Ashesi implemented a biodigester system that greatly reduces the volume of waste coming from campus bathrooms. 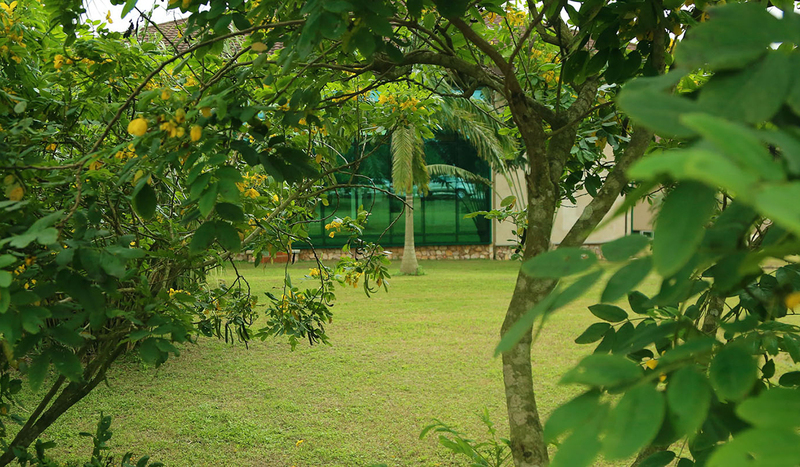 Biogas from the digestion process is used to power university kitchens, and treated, nutrient-rich effluent is used for watering Ashesi’s gardens. University trash is also separated, with organic waste removed and processed for animal feed. Energy: All campus buildings are designed to make the most of natural sunlight and conserve power by reducing reliance on light bulbs. 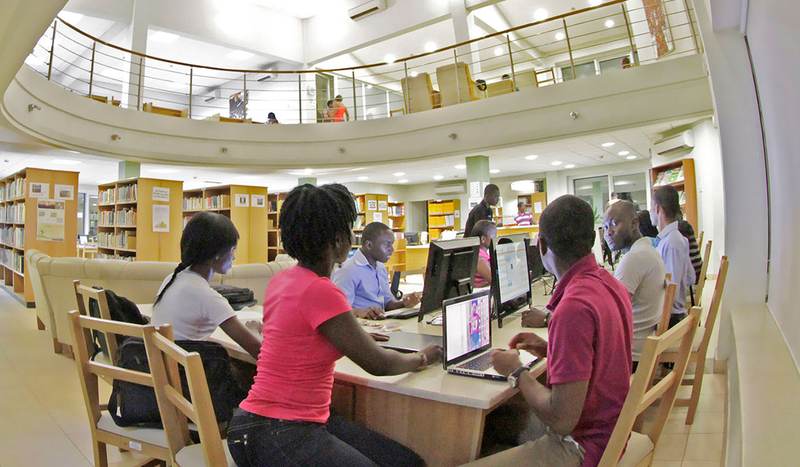 Ashesi is also working to increase our use of solar power. In 2017, 720 photovoltaic panels were installed throughout campus. Thanks to this installation, solar now supplies 13% of the energy consumed on campus. Ashesi eventually hopes to move completely off-grid, with solar as the primary source of energy and generators used only as a last resort. 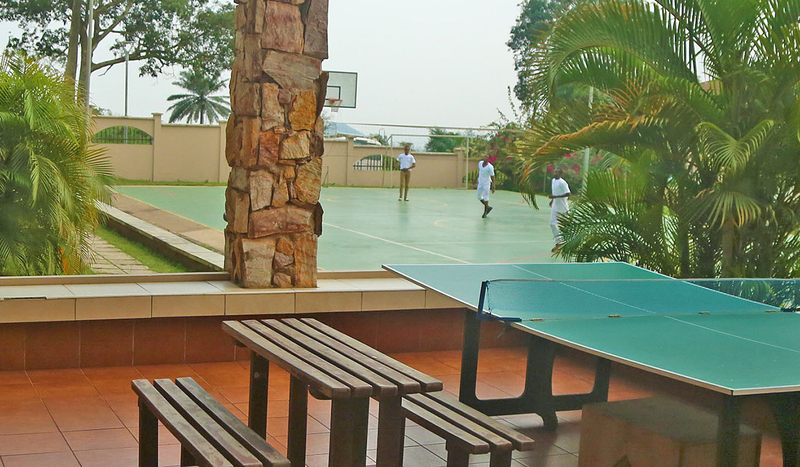 See the new Africa that Ashesi is creating. 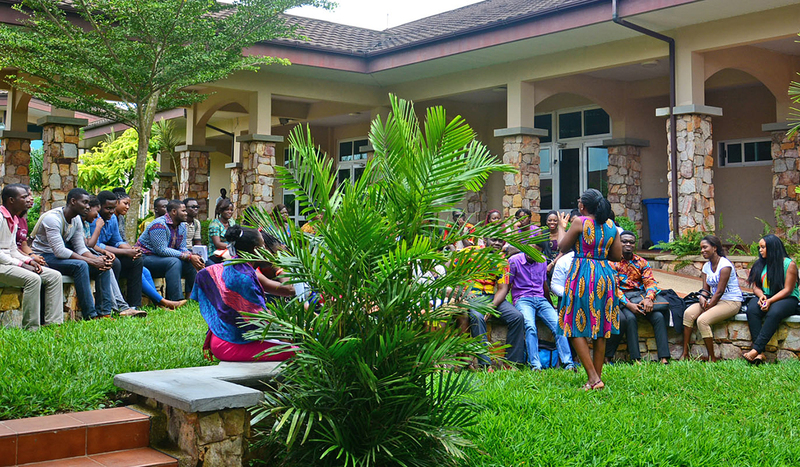 We’ll visit graduate workplaces, hear students present innovative projects, participate in discussions with Ashesi leadership – and witness a new Africa of optimism, ethical courage, and progress. Visiting Ghana outside the Annual Trip dates? 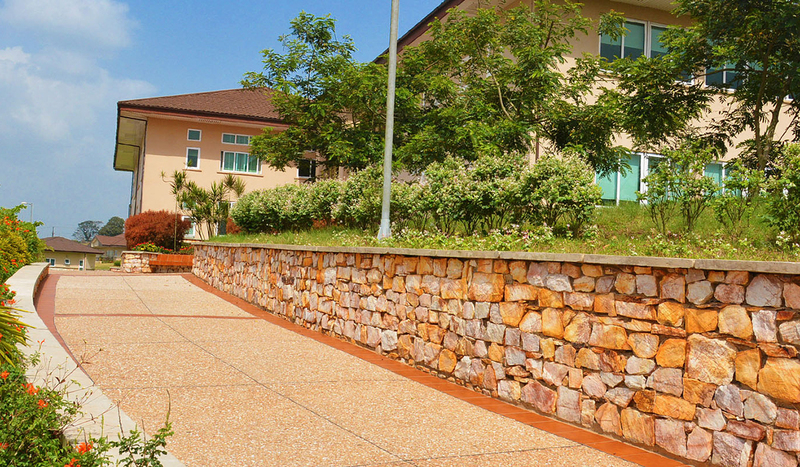 We would love to coordinate a campus tour for you. 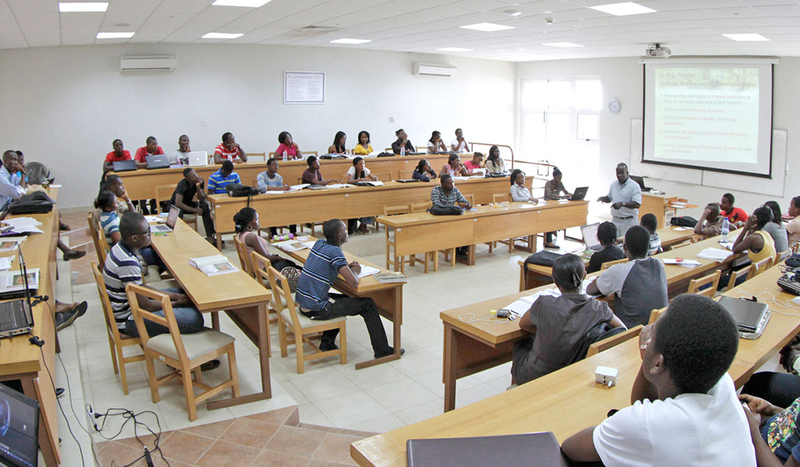 To learn more, please contact: foundation@ashesi.org.